Exclusive! The perfect icebreaker! 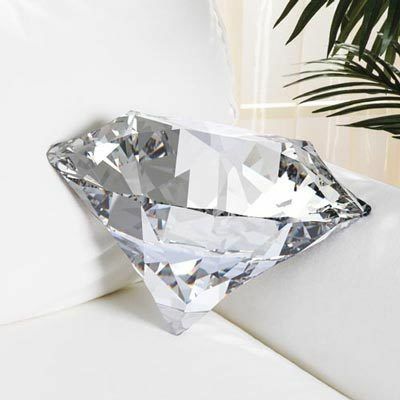 Gem-tastic polyester Diamond Pillow, with photo-realistic printed design, is perfect on a sofa, bed or chair. Spot clean. Imported. 12"h.
Don't be fooled by the picture like I was, because you will be very, very disappointed. Nothing like the picture at all and the craftsmanship of this pillow is poor. Returning.